The president is said to be branching out from Fox & Friends, and that means all media -- for easy comprehension -- are being required to employ Trumplators. This program is no exception. We at 3 Chords & the Truth have learned, and learned the hard way, that Trumplation can be a fraught affair. 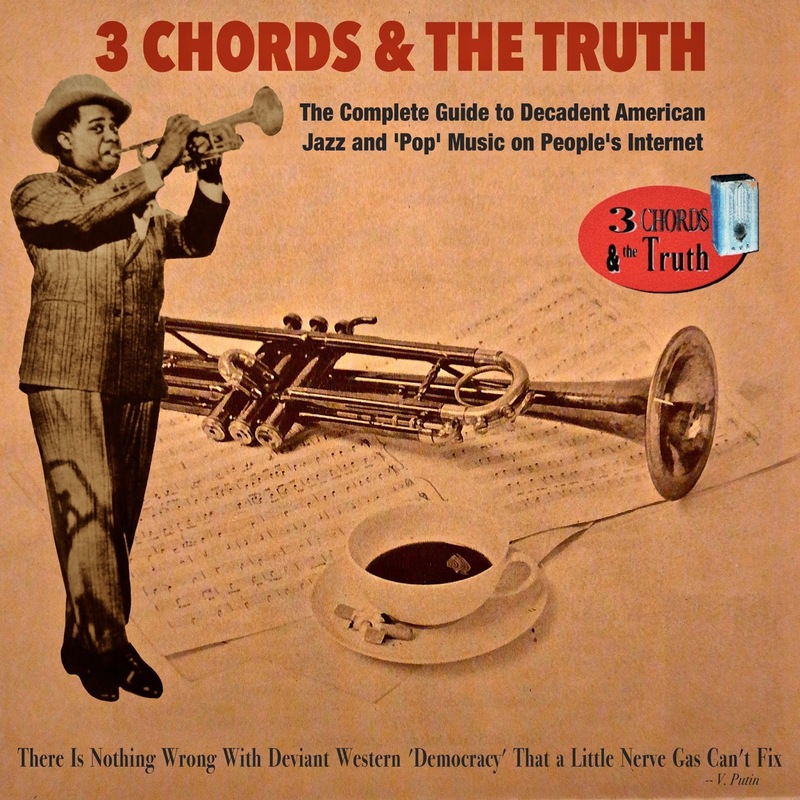 And during the course of this rather jazz-centric edition of the show, some quick conclusions may be drawn about Trumplators and their inherent biases, ideologies and -- alas -- not-so-benign agendas. 1. Never trust a Trumplator. 2. Never trust a Trumplator. 3. The Trumplator is not worthy of your trust. 4. Bad things will happen if you trust the Trumplator. 5. Do not assume that the Trumplator is translating for the president what you actually are saying. 6. Something ain't right in this whole deal. 7. I do not believe that Trumplators particularly like America or "decadent" American music. 8. Everybody in this whole Trumplation thing is up to something. 9. It is possible to do an excellent edition of the Big Showsky . . . uh . . . Big Show despite the mandated Trumplator causing all hell to break loose. 10. DO NOT trust the Trumplator, comrade.